This week, the FCC ruled 3-2 to release a new proposal on net neutrality, which will be opened for comment from the public. In light of the lively debate that is already starting on this issue, it’s important to understand how the concept of net neutrality has been established in the United States over the past decade. Consumers have the right to access the lawful Internet content of their choice. Consumers have the right to use the services and applications of their choice. Consumers have the right to use their choice of devices to access the Internet, as long as said devices do not harm the network. 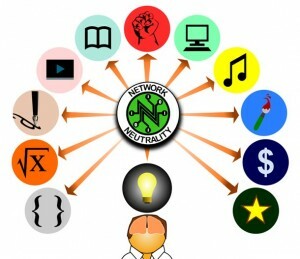 The 2005 principles of “open internet” represent the basic tenets of net neutrality. Transparency – Network providers must make publicly available their network management practices, performance characteristics, and terms and conditions of their contracts. No Blocking – Network providers may not block any lawful content from consumers. This is important because it keeps network providers from blocking sites or applications from their users that compete with their services. No Unreasonable Discrimination – Network providers cannot discriminate in transmitting network traffic, as long as it is lawful. However, in Verizon v. FCC in January, 2014, two out of these three rules were rescinded. Stating that Internet service providers are not common carriers, and therefore are outside of the FCC’s realm of authority, the ruling claims that the FCC cannot impose the rules of net neutrality on Internet providers. This ruling is seen by proponents of net neutrality as detrimental to the principles of open internet. While the ruling did not comment on the validity of the rules themselves, it made the 2010 Open Internet Order unenforceable by the FCC. There has been a large public outcry against the Verizon v. FCC ruling, since it is seen by many consumers as a huge step backwards for net neutrality. The January ruling has the potential to allow Internet service providers to essentially govern the Internet as suits their commercial interests. The latest proposal by the FCC for creating new rules for net neutrality has also raised concerns that corporate interests are being placed ahead of the principles of open internet. The proposed rules allow for “commercially reasonable” behavior by Internet service providers to regulate Internet content. This provision could allow content providers to pay for “fast lanes” of service for certain content, which opponents say would discriminate against slower content. The possibility that the newly proposed rules could allow for discrimination of Internet content by providers led to a rally of protesters outside of FCC offices as the ruling took place. But those on the other side of the debate, namely the Internet service providers themselves, claim that the new proposed rules introduce too much regulation, and will inhibit innovation in the Internet industry. The ruling has strong political implications in the Congress as lawmakers consider future action. The encouraging part of the proposal for both sides of the debate is its designation of a four-month period to accept public comments on the issue. Tom Wheeler, Chairman of the FCC, says that this call for comments is intended to open a conversation between lawmakers and the public to ensure that the new ruling upholds the tenets of net neutrality. The next four months will surely see some lively arguments on the subject of net neutrality, and the forthcoming decisions by the FCC will be important to the future of Internet regulation in the United States. Check out the resources below to learn more about net neutrality! Bauer, J. M., & Obar, J. A. (2014). Reconciling Political and Economic Goals in the Net Neutrality Debate. Information Society, 30(1), 1-19. Boliek, B. L. (2011). FCC Regulations Versus Antitrust: How Net Neutrality is Defining the Boundaries. Boston College Law Review, 52(5), 1627-1686. Kramer, Jan, Wiewiorra, Lukas, Weinhardt, Christof. (2013). Net Neutrality: A progress report. Telecommunications Policy, 37, 794-813. Pogue, D. (2014). The Great Net Debate. Scientific American, 310(4), 36. Guadamuz, Andrés. (2011). Networks, complexity and internet regulation: scale-free law. Cheltenham, UK : Edward Elgar. Nunziato, Dawn C. (2009). Virtual freedom :net neutrality and free speech in the Internet age. Stanford, Calif. : Stanford Law Books. Stiegler, Zachary. (Eds.) (2013). Regulating the Web :network neutrality and the fate of the open Internet. Lanham: Lexington Books. Zelnick, Robert, Zelnick, Eva. (2013). The illusion of net neutrality: political alarmism, regulatory creep, and the real threat to Internet freedom. Stanford, CA : Hoover Institution Press.